Replacement particle filters are available for a variety of systems including medical lasers manufactured by Dornier and Lumenis / Coherent. Most replacement medical laser particle filters ship same day. Ensure your water particle filters are replaced annually to prevent damage to your medical laser systems. Water particle filters should be installed by qualified personnel. Instructions are not provided. The 35µ particle water filter element replacement fits Dornier Medilas H20 Holmium laser systems. This is the small style water filter, compatible only with model H20 systems. 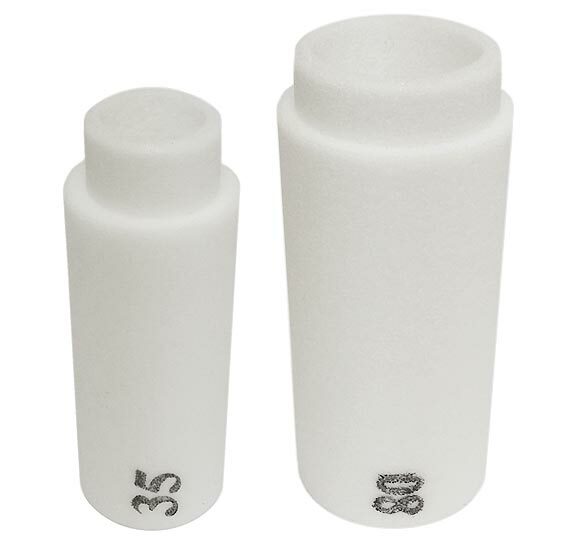 The 35µ particle water filter element replacement fits Dornier Medilas H30 Solvo Holmium laser systems. This is the large style water filter, compatible only with model H30 Solvo systems. The 80µ water particle filter element replacement fits Dornier Medilas H Holmium laser systems. This is the large style water filter that fits the model H holmium laser systems.